When will the EU appoint a special representative for the southern Caucasus with a multi year working perspective? EU delegations in the area are unable to work comprehensively given the number of non-recognised entities: South Ossetia, Abkhazia and Nagorno Karabach. The current special representative was initially appointed for six months and now again for only eight months. 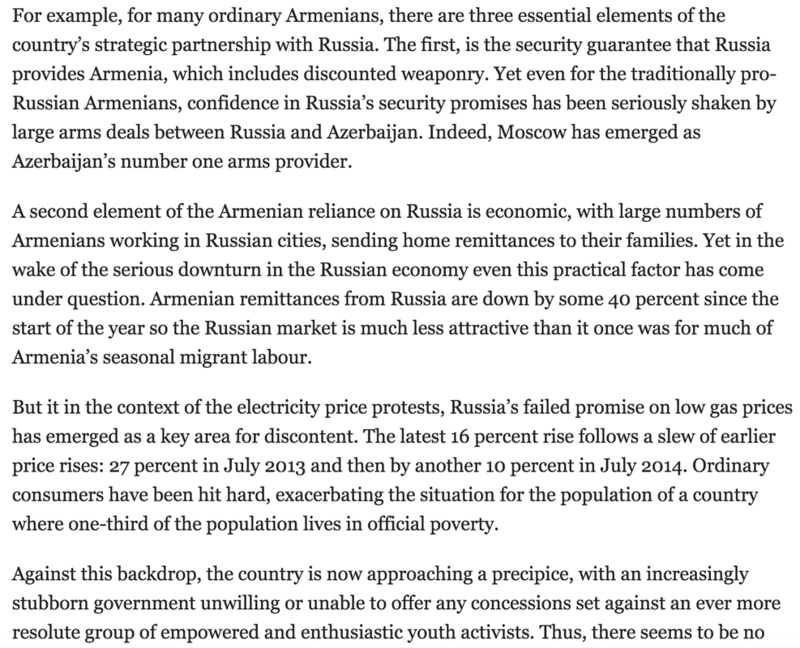 The latest contribution can be read here warning Russian decisionmakers that Armenia may again decrease its level of ambition in the normalisation process with Turkey.